Cinematography Gerald Perry Finnerman; Leonard J. South; Emil Oster; Lloyd Ahern Sr. 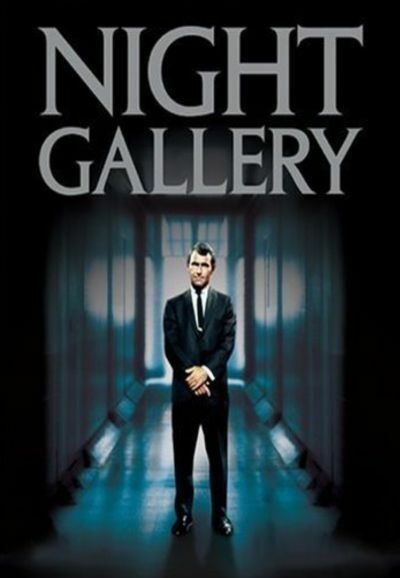 Plot Night Gallery was creator-host Rod Serling's follow-up to The Twilight Zone. Set in a shadowy museum of the outre, Serling weekly unveiled disturbing portraiture as preface to a highly diverse anthology of tales in the fantasy-horror vein. Bolstering Serling's thoughtful original dramas were adaptations of classic genre material--short stories by such luminaries as H. P. Lovecraft, Fritz Leiber, A.E. van Vogt, Algernon Blackwood, Conrad Aiken, Richard Matheson, August Derleth, and Christianna Brand. Variety of material brought with it a variety of tone, from the deadly serious to the tongue-in-cheek, stretching the television anthology concept to its very limits.